Bhadiya from Bhanpur Kheda village does not know her age. She has five children – the eldest one is 12-year-old while the youngest is an infant. Considering she got married in her teens – like most women in her village – Bhadiya must be in her 30s. After giving birth to five children she no longer wants to have another child. She feels physically weak now, says Bhadiya. But no one in her village, which is almost 50 km from Mandla in Madhya Pradesh, is ready to help her. Not even doctors in the Mandla district hospital or nearby community health centre in Bichhiya. “We want Bhadiya to get an operation done so that she cannot have babies. But the doctor refuses to help us,” says Ramkali, Bhadiya’s mother. In the same village lives Sukhwati. She has been giving birth to one child after another, failing to keep a gap in each delivery. Sukhwati has four children and is reluctant to conceive any further. Therefore, she, along with her mother-in-law Sukrati, went to the community health centre in Bichhiya for sterilisation. “They refused to do an operation. We don’t know what to do now. She (Sukhwati) cannot have babies every year,” laments Sukrati. Like Bhadiya and Sukhwati, many women in the village as well as in Mandla district are denied health and reproductive rights. More important, they are denied the right to choose whether they want to have children or not. There is no restriction on their having children, but they are not allowed to subject themselves to any permanent mode of family planning Reason. They are Baigas – a ‘particularly vulnerable tribal group’ (PVTG) which is not allowed to adopt permanent family planning measures, as per a 38-year-old government order. In 1979, the public health and family department of Madhya Pradesh issued an order which disallowed Baiga women and men to undergo sterilisation, until permission is sought from the government authority. “Earlier Baiga families had to take permission from the block officer but later they were supposed to take permission from the SDM (sub-divisional magistrate). 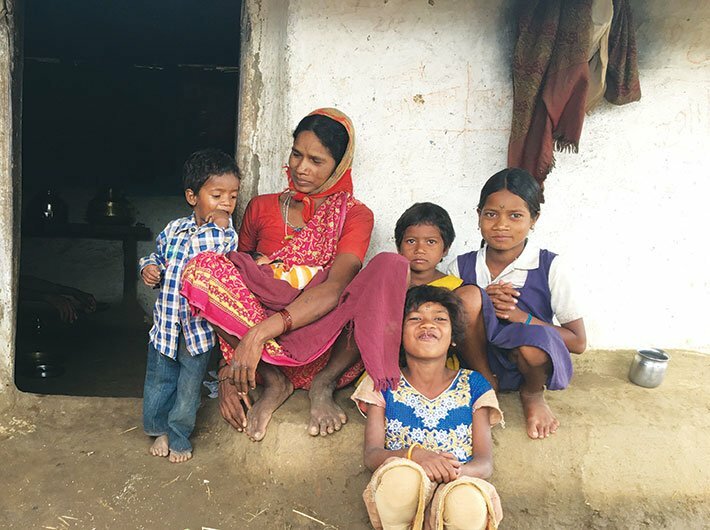 In my knowledge in last two to three years there is a complete ban on sterilisation of Baiga women,” says Dr Jamuna Prasad Chicham, general physician at the community health centre, Bichhiya. Other doctors have the same information. They say as per the letter received from the chief medical officer based in the district headquarters they cannot operate on any Baiga woman or man. “These women frequently visit us. They also come during health camps. Although we know they have four or more children we have to send them back because of the government order,” says Chicham. Defending the government’s move, Dr Rajan Peepre, family planning officer of the Mandala district hospital, says that the purpose of this order is to increase the population of Baigas. But when I ask him if he has a copy of the original order, he says that he took charge of the department only this year and doesn’t have a copy. Dr Madan Peepre, who handled the family planning department for 10 years before Rajan, is equally clueless about the whole process. The department doesn’t have any data on the sterilisations conducted with the government permission. He doesn’t even know whether permissions from the SDM or block officers were being given at all. Until two years back, sterilisation was happening secretly in hospitals and health camps, confirm health workers and locals working with them. But it stopped altogether after an incident in 2014. Thirteen tribal women, including a few Baiga women, died in Chhattisgarh after undergoing sterilisation surgery in a health camp in 2014. The state government appointed a judicial commission to investigate the matter. Medical negligence and use of sub-standard drugs were revealed to be the primary reasons for the deaths. The probe also pointed out that the sterilisations violated the law that prohibits Baiga tribe from sterilisation. “Since then sterilisation has not been happening in our district,” says an accredited social health activist (ASHA) who used to prepare a list of Baiga families for the operation. The Baiga tribe is concentrated in a few districts of Madhya Pradesh like Mandla, Dindori, Shahdol and Balaghat. These districts share boundary with Chhattisgarh, which was part of Madhya Pradesh before it was established as a separate state in 2000. Many Baigas live in some districts of Chhattisgarh like Rajnandgaon, Bilaspur and Kawardha. Although the state is divided now, the 1979 order holds equally true for Baigas in Chhattisgarh. In February, 10 Baiga families filed a PIL in the Chhattisgarh high court. Jan Swasthya Abhiyan and Jan Swasthya Sahyog are co-petitioners who have challenged the government order saying it is arbitrary and violates the right to life and liberty, which includes the right to health and reproductive rights. It is also discriminates tribal on the basis of their reproductive rights and violates Article 14 of the constitution, says Sulakshana Nandi, national joint convener, Jan Swasthya Abhiyan (Peoples’ Health Movement, India). “Once we get direction from the Chhattisgarh high court, we will take up the case in supreme court for the tribe residing in other states. It is also a possibility that states can take their own call after the high court judgment is given or else a separate PIL has to be filed,” Nandi says. It is heart wrenching to see an order more than three decades old pushing Baiga families to the brink. 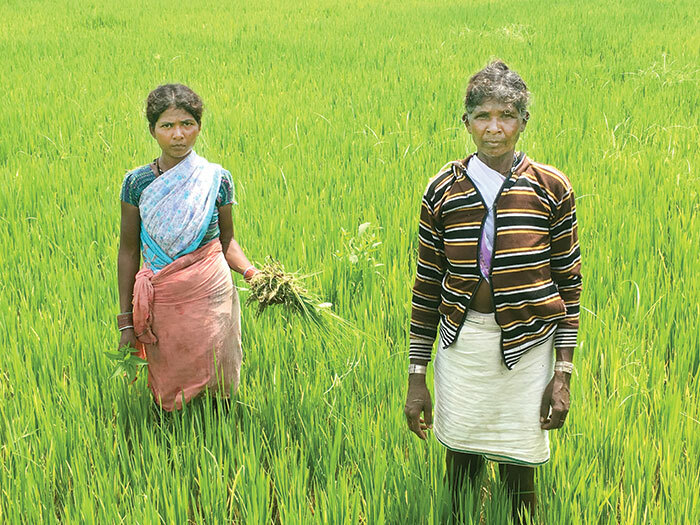 Earning less than Rs 600 a month through minor agriculture produce and labour work, there is no consideration for the poor livelihood condition of these families, who are forced to breed. “Nobody is thinking about how we will feed our children when there is no source of livelihood. What we get from ration shops does not last for more than 10 days,” says Bhadiya, whose husband is an unskilled labourer and has migrated to Chhattisgarh for work. As she narrates her woes to me, one of her daughters snatches the take-home ration packet, given by the anganwadi, from her hand and starts gulping the powder. “At the time when the law was being framed, lawmakers did not anticipate the livelihood issues,” says Nitin Bajpai of the Population Foundation of India, Delhi. “At that time protection of the vulnerable tribe was important. Protecting the uniqueness of the tribe was crucial. Tribals are an easy target to show high figures of sterilisation on papers. But now it needs serious consideration when we know that the lives cannot be protected just by growing in numbers,” he says. Bajpai cites several studies that concluded that multiple deliveries without much of a gap between children are fatal for the mother. “There are high chances of malnourishment for both mother and the child and poor cognitive ability and growth potential is always at stake for children,” he says. On June 7, the forest department held a screening programme for pregnant women in Bichhiya. Almost 270 women from nearby villages were transported to the spot in cars, jeeps and ambulance vans. I was at the camp throughout the day to observe the health status of women in the region. Every single woman who attended the camp was found to be severely anaemic. Few Baiga women were also seen, who were there to deliver their sixth or seventh child. As per the data on maternal deaths in Mandala district, accessed by Governance Now, there were 27 maternal deaths in the district in 2014-15. The data of deceased women, however, does not clearly mention how many of them belong to Baiga or other tribes. But for all the deaths the most common reason cited was severe anaemia. In 2015-16, 31 mothers died, while in 2016-17 there were 35 deaths. The data reveals complications arising due to poor health of the tribal women. 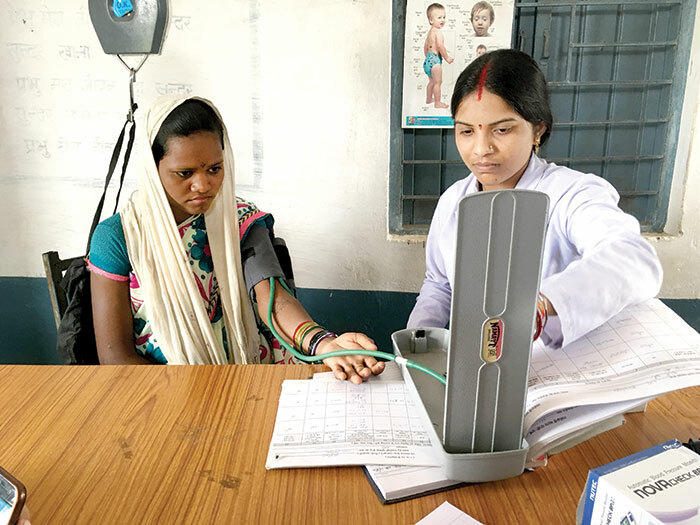 Armu, an anganwadi worker in Indiravan village in Bichhiya block, says that lack of family planning measures is one of the reasons behind poor health condition of women and children. “The prevalence of contraceptive use is the least here. It results in successive pregnancies without any gap between children. With each delivery women become feeble, not strong enough to give birth to a healthy baby. Due to this low-weight births are common here,” she says. With a ban on the permanent method of family planning, temporary measures are not very popular. Sukhwati was not aware about contraceptives and other temporary solutions. ASHA workers have never discussed about condoms with men or use of copper T with women. As a result, there is lack of awareness about them. Use of family planning methods in Mandla district in Madhya Pradesh, irrespective of any particular tribe. What is more surprising is that in the wake of this order, the family planning department is unaware of promoting other temporary methods of spacing. “We have written several letters to senior authorities to get clear guidelines but we have not received any reply,” says Dr Madan Peepre. Doctors, on the other hand, say women are not willing to opt for any intra-uterine device (IUD) due to their cultural inhibitions. Meanwhile, in the absence of any family planning facility, villagers are following their traditional methods of having some jadi-bootis (roots of plants). Anthropologist Verrier Elwin, the pioneer in Baiga studies, talks about these traditional contraception methods in his book, The Baiga. He writes that though he tried very hard to find some tradition of contraception among the tribe, it was a little success. He wrote: “The Katai (Flacourtia romontchi) is believed to have influence on conception. If a woman eats the root she will be fertile and if she eats the flowers then she will be barren.” He also mentions lach-kur, a small shrub, which is used as a contraceptive. Elwin also mentions other traditional beliefs which continue to exist. “If, when a child is a born, the parents decide it should be the last then if they lay the placenta with the foetal side upwards on the ground, the mother will not conceive again,” he wrote. Abortion is also a way of dealing with an unwanted child. Village-based dais (midwives) give a heavy massage on the belly, which results in abortion, confirm ASHAs. Even Elwin mentions this practice in which one woman stands on the belly of a pregnant woman and stamps her feet till the child within is aborted. There are some traditional medicines like a mixture of gunpowder and phuli liquor; also a concoction of amarbel creeper (Cuscuta reflexa), tinsa (Ougeinia dalbergiodes) bark along with other ingredients, he writes. According to Elwin, the cumulative effect of these measures is always successful.